A well earned award for you. I read and enjoy your blog and look forward to many more. Thanks, Charles, for setting a great example! Yours is another blog that I enjoy reading and I wish I could have fit more on my list. I will keep following you for inspiration! You’re more than welcome, Lisa. Thanks for the inspiration! Yikes 15 blogs, I’m not sure I know up to that amount but I’ll try. You’re welcome! You know this is an important cause and you are a blessing! 15 is just a number to shoot for, you can do as many as you like! Thank you RootsGenie, I appreciate the kindness. Thank you again Tiffiny, you have great blog. Thank you so much for the nomination, I am honored. Congratulations on your nomination, it is well deserved! Congratulations to you!! 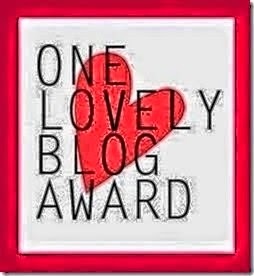 Your blog is not only lovely but it’s a wonderful tribute to your family too! Thank you so much for the honor; I truly appreciate you. I apologize for responding so late. I’ve been caring for an aging parent a lot this year. So I haven’t been online as much as I use to. But I’m so blessed to still have one of my parents still with me — so the Internet must wait. Again THANK YOU!!! Oh I forgot to say I will be paying the award forward soon! Thank you so much! I follow your blog as well, and I think your posts are the most informative and inspiring. I hope my blog can be as helpful to others one day!